The GDR18V-1800CB25 kit features a 1/4 In. 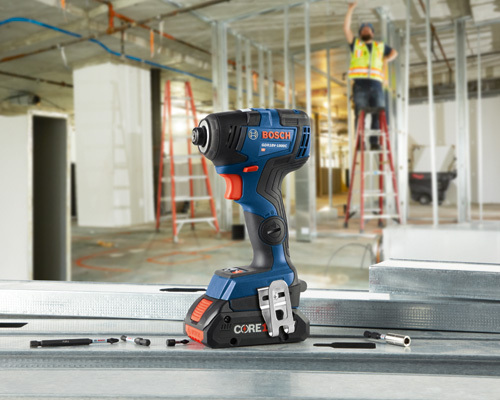 hex impact driver and two CORE18V 4.0 Ah Compact Batteries, each with next-gen Li-ion 21700 cell technology. The GDR18V-1800C 18V 1/4 In. 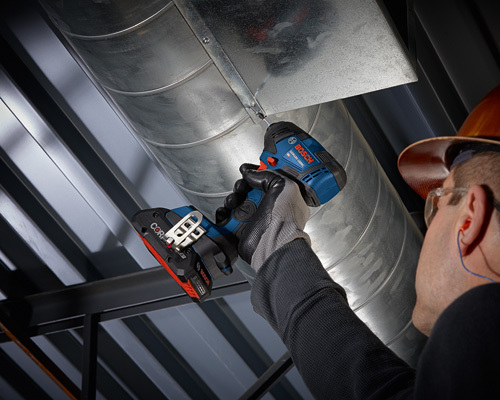 Hex Impact Driver has a Compact Impactor design, with a head length only 4.9 In., giving it the best head-length-to-torque ratio on the market. It features the Bosch hammer-and-anvil system to produce 4,000 impacts per minute (ipm) as well as a 3,400 rpm speed. 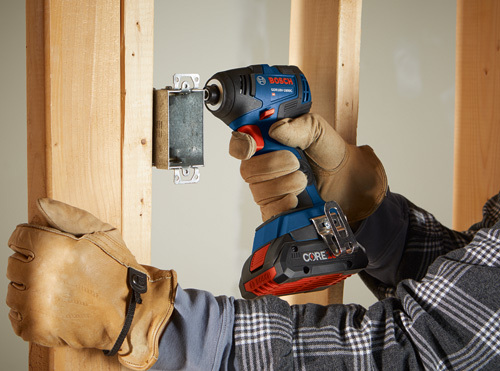 It is able to handle the toughest fastening tasks found on the jobsite. The kit features two CORE18V batteries, which have next-gen Li-ion 21700 cell technology for optimal performance in a lightweight, high-power battery. 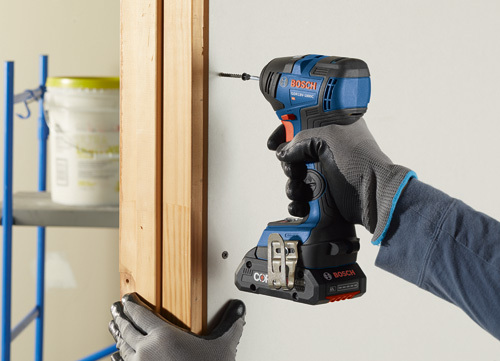 The driver has a Compact Impactor design, with a head length only 4.9 In. and a weight of only 2.4 Lbs. (tool only, not including battery). It has a variable-speed trigger and an LED light.